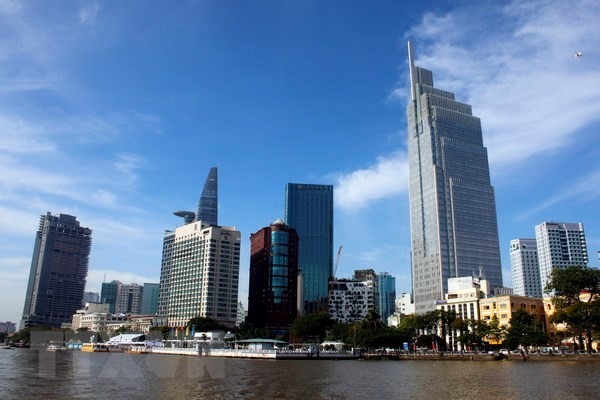 HCM CITY — HCM City plans to cease the construction of high-rise apartment buildings in the downtown area while focusing on building apartment complexes along major public transport routes in Districts 2, 9 and Thủ Đức. In the draft housing development programme of the city for the period of 2016-2025, the city would stop high-rise buildings in District 1 and 3. In other districts such as 4, 5, 6, 8, 10, 11, Tân Bình, Tân Phú, Phú Nhuận, Gò Vấp and Bình Thạnh, the city would focus on upgrading and completing on-going projects and renovating old apartment buildings, which were built before 1975. In districts 2, 7, 9, 12, Thủ Đức and Bình Tân, the city would give priority in developing apartment buildings and complexes along the public transport routes. Social apartment buildings would be in the list of development. In suburban districts of Củ Chi, Hóc Môn, Bình Chánh, Nhà Bè and Cần Giờ, the city would prioritize the development of housing projects in townships and rural residential areas connecting with the main roads. The city would focus on creating a land fund for social housing projects for low-income earners in the period of 2021-2025. It would also launch favourable policies to form new residential areas in order to gradually reduce the population in the inner city. In the period 2016-2020, the city will strive to build 20,000 social houses, including 10,000 apartments for low-income people and 10,000 apartments for resettled people. There would be 35,000 accommodations for workers and 6,750 for students. From now to 2020, the city will organize bidding for investors, prioritising the implementation of high-rise buildings along major public roads located in six urban districts. At the same time, the city will encourage the development of low-cost commercial housing and rental housing as a way of curbing the illegal construction of houses in suburban areas. The city would issue bonds to mobilize capital for social housing development, especially social housing for rent. Director of the Department of Construction Trần Trọng Tuấn stressed that the development of housing must align with the development of technical infrastructure, social infrastructure and create land funds for public transport and parks. He said the department will coordinate with the city’s Labour Federation and the Department of Labor, Invalids and Social Affairs to review the housing needs of workers in industrial zones.